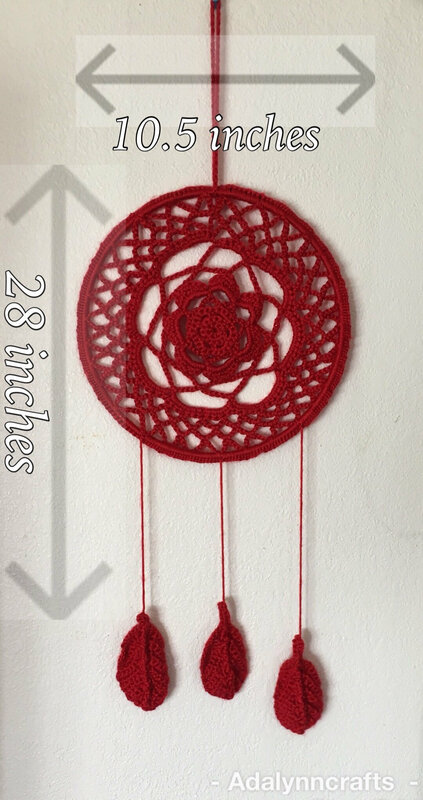 Handmade large red dreamcatcher. 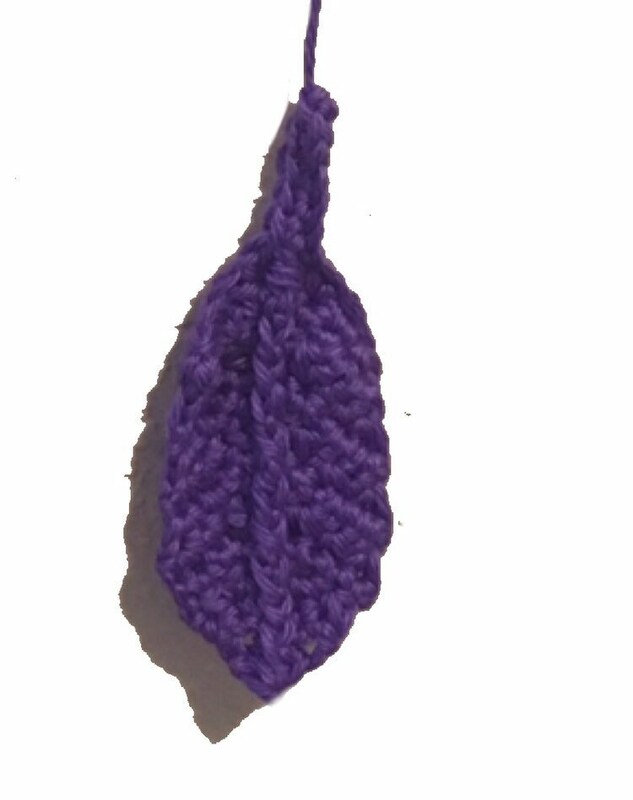 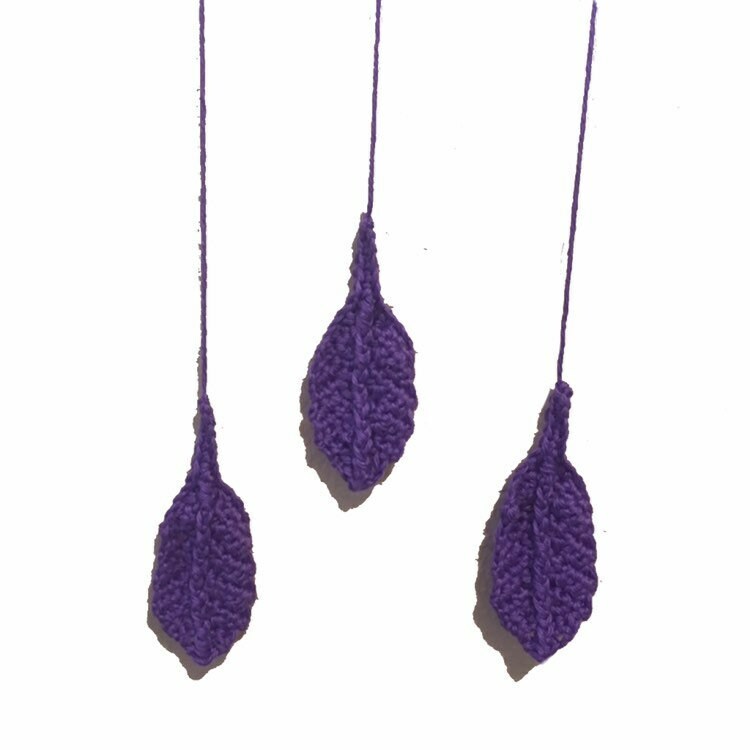 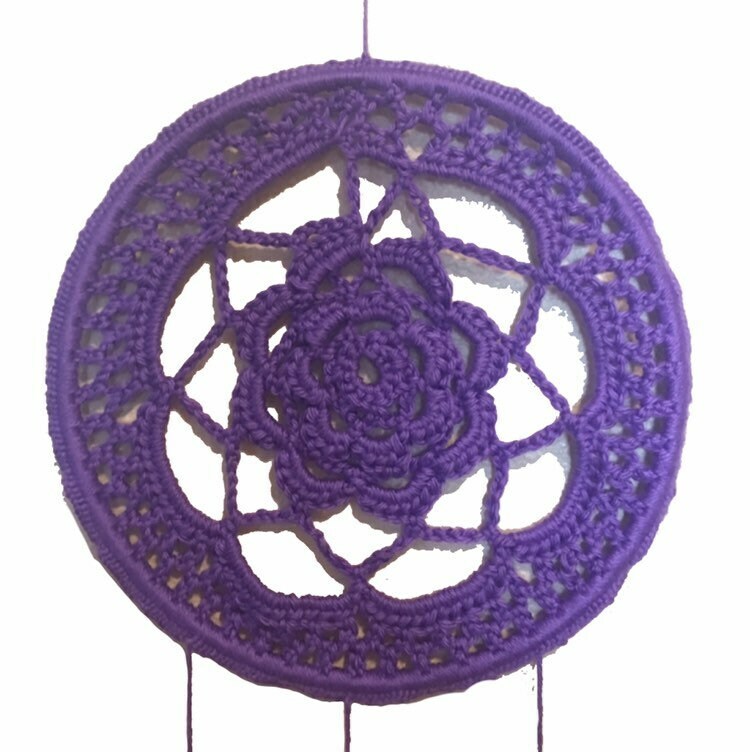 Crochet by hand with durable yarn. 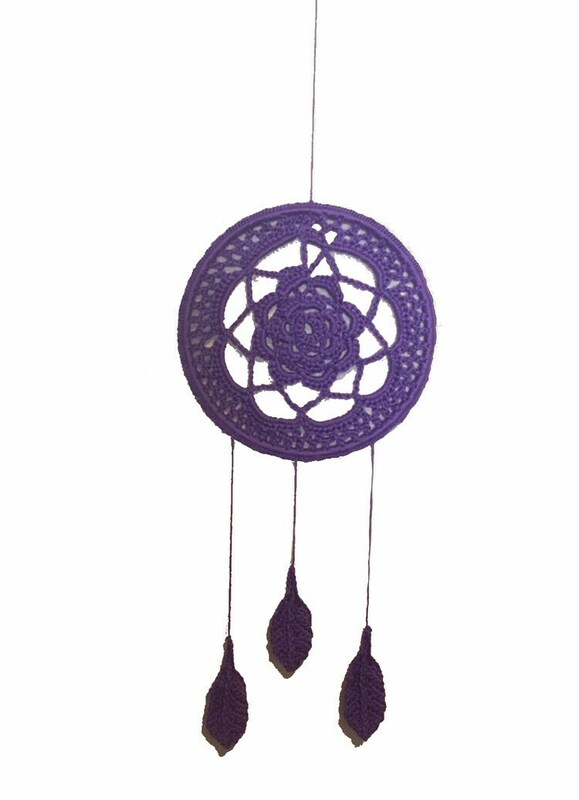 This dreamcatcher will be nice touch to your bedroom, nursery or any other room, and a beautiful gift for a friend. 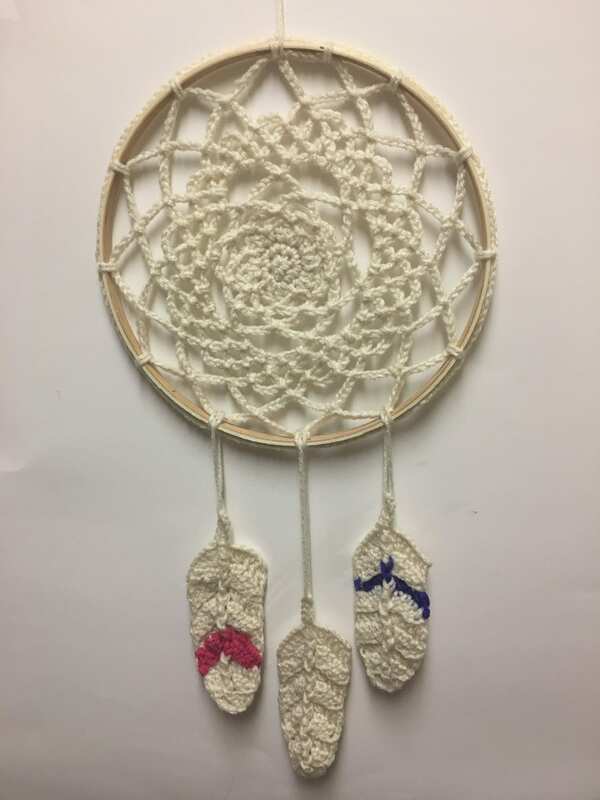 A perfect gift for a Birthday, Mother’s Day, Fathers Day or a Housewarming Gift. 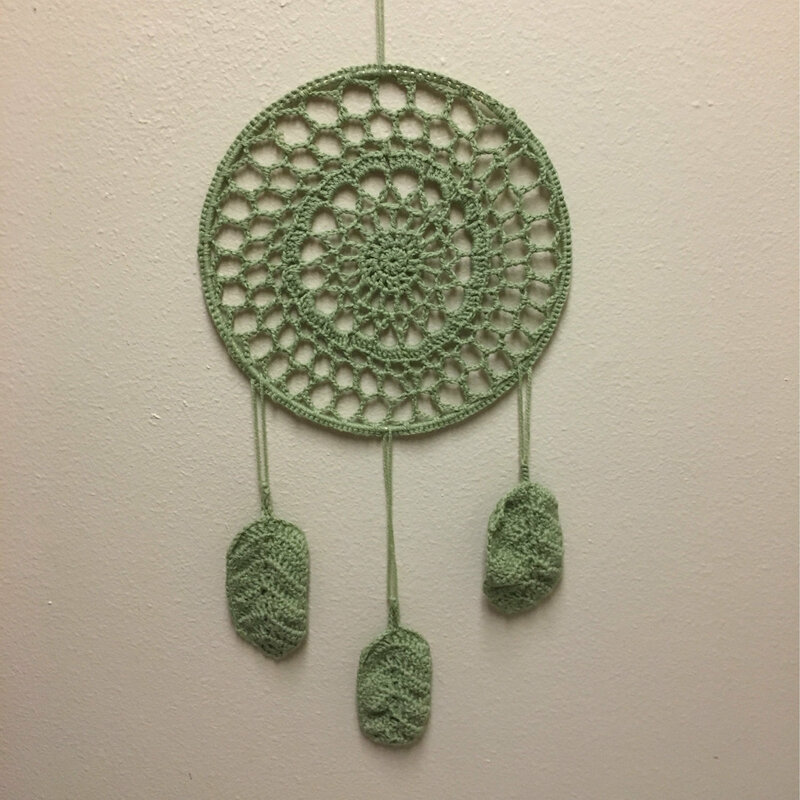 Do you like this dream catcher but maybe the colors or feathers don't quite match what you're looking for? 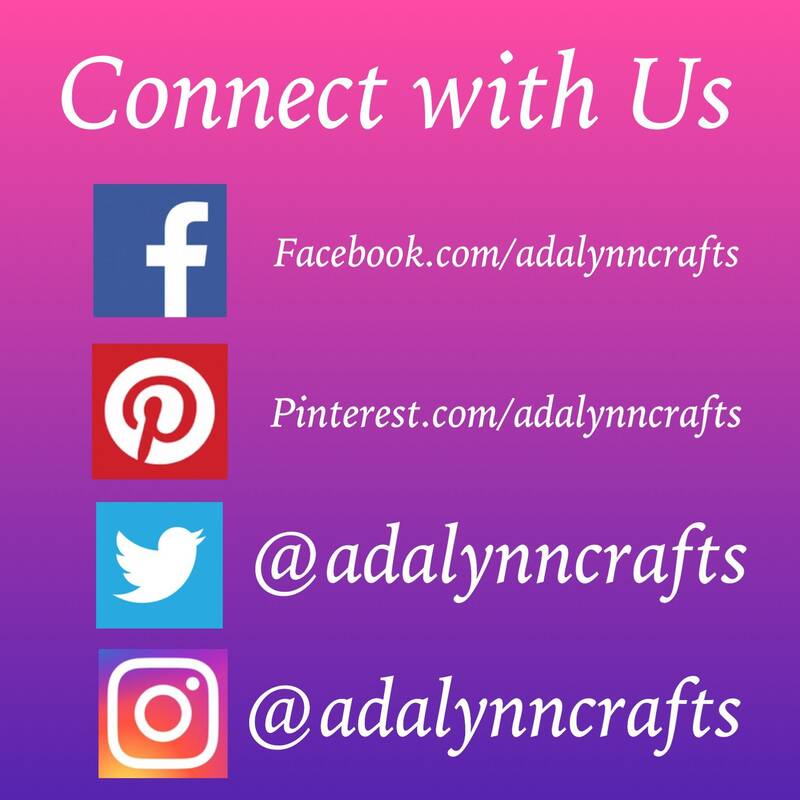 Please contact me as I accept custom orders. 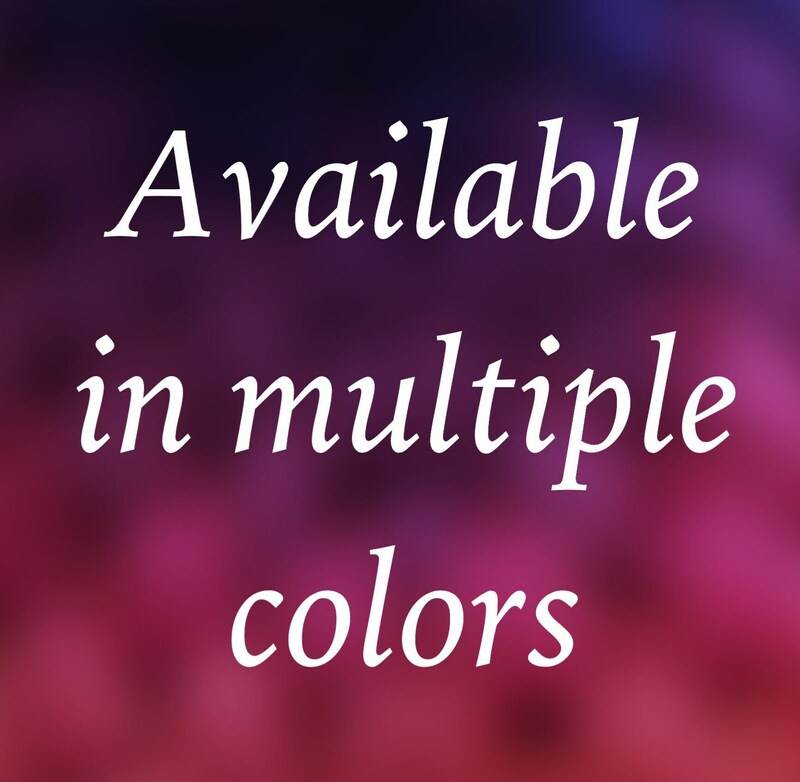 No charge for color changes!